Several weeks ago I heard, on an early morning news show, that some young women today feel that the so-called third wave of feminism is not really relevant. The first “wave” was, of course, in the 20’s, the second was the 60’s and 70’s. Surely, there has been great progress but there are still areas of inequality to be addressed and I spent some time reflecting upon the leaders of the feminist movement in my lifetime. One woman I have admired throughout the decades is Judy Chicago. Born, Judy Cohen, in 1939, she adopted the name of her home town and rose among the ranks of both the arts and the feminist movement. As an artist, Chicago fought the images of men as artists and women as crafts-persons. She sought to empower women to excel is all aspects of art creation and became known as a champion in "process", by which I mean, the actual making of the art project using whatever necessary methods appropriately and with expertise. No technique was too difficult to master, whether using automotive spray painting methods to achieve an effect or learning china painting for her famous Dinner Party installation. If “God is in the Details” (Mies van der Rohe), then Chicago’s works are divine. Two of her installations featured vast pieces of needlework . Probably, The Dinner Party comes to mind firstly, because of its sheer scale and well as its message (and, at times shocking presentation). The Dinner Party was an examination of women’s history. This is a very impressive reference of the project which describes in great detail Chicago's technical drawings and their symbolism, the history of the women guests and the times they lived. 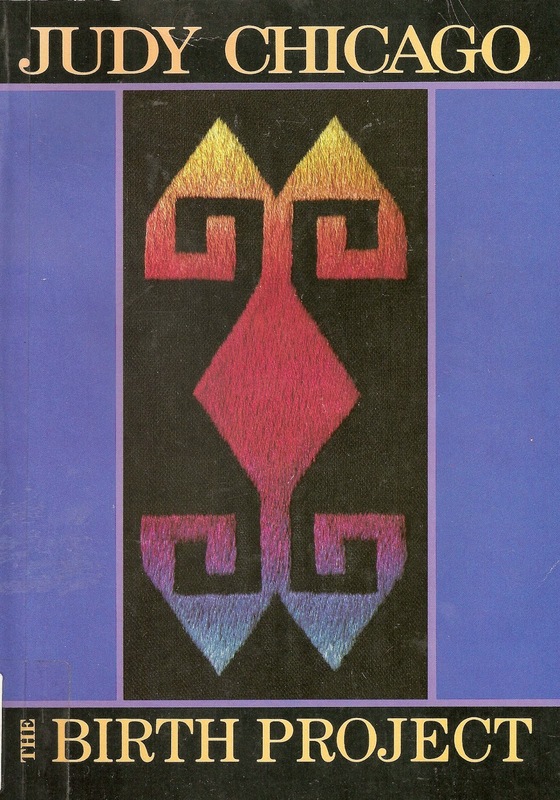 The needle techniques are illustrated and there are many photos of the finished textiles. Begun in 1974 with the assistance of 400 artist contributors, The Dinner Party installation opened at the San Francisco Museum of Modern Art in 1979. It now resides in the Brooklyn Museum. This publication reads like a journal of the project. There are diary entries documenting each step. 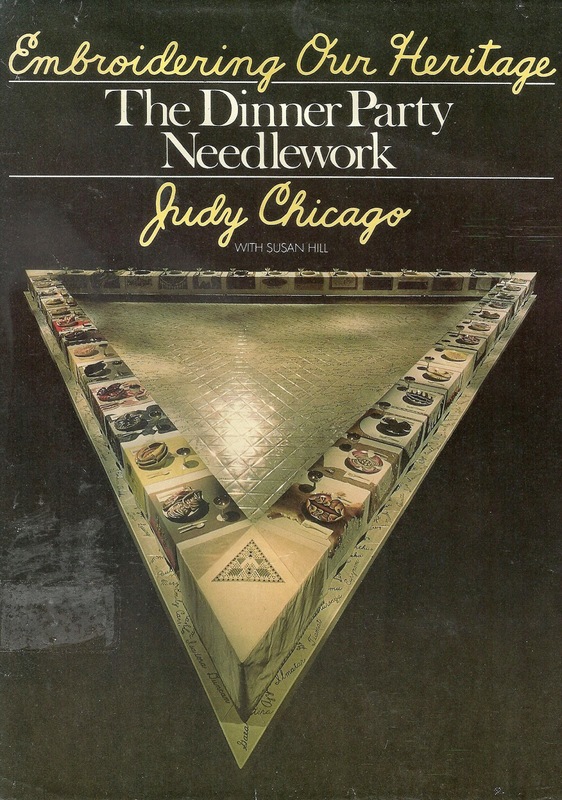 There are many photos and illustrations of the needlework as well as explanations of Chicago's textile designs. Chicago has resided in Belen, New Mexico for thirty years and the New Mexico Museum of Art is featuring her works here in an exhibition: Local Color, Judy Chicago in New Mexico 1984-2014. ( through October 12, 2014) There is an excellent biography of Chicago in El Palacio, the publication of the Musem of New Mexico Foundation. 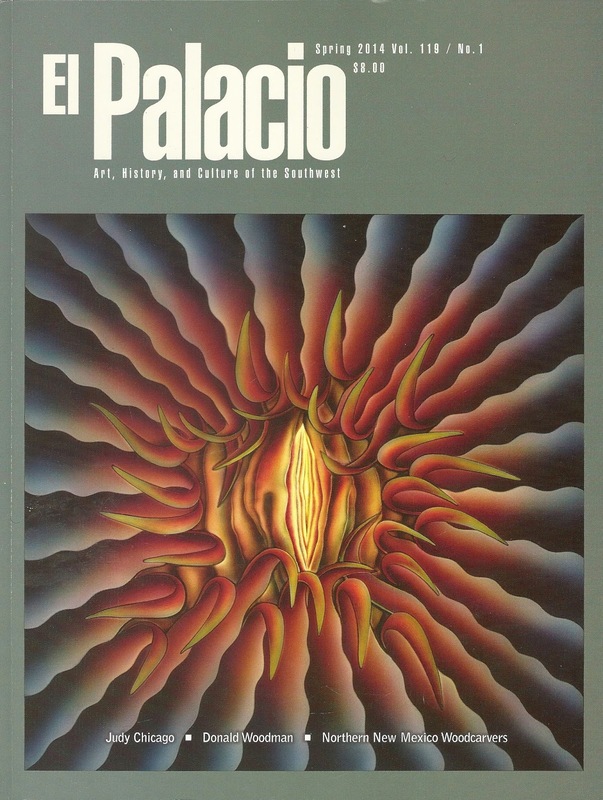 El Palacio is available as subscription or as a benefit of membership.